The following post will continue to be updated to reflect the current major retailers that have filed for Chapter 11 bankruptcy protection in 2019. View this year's bankruptcies. Last year delivered some of the biggest bankruptcies in retail history, including the Chapter 11 filing of 125-year-old department store, Sears. During the fall of 2018, Retail Dive looked at data and FRISK scores from CreditRiskMonitor to predict which retailers could go bankrupt in 2019. Those stores at risk included J.C. Penney, Neiman Marcus, J. Crew and 99 Cents Only. But will the trend continue? Debtwire senior retail analyst Philip Emma told Retail Dive in an earlier interview that bankruptcies will pull back in 2019, simply because so many have already folded. "They will slow if for no other reason than a lot of the most troubled retailers have already filed bankruptcy like Toys R Us, Bon-Ton, and of course Sears." As we did last year, we are keeping a close watch on retail bankruptcies. Below is a list of the major filings of this year. 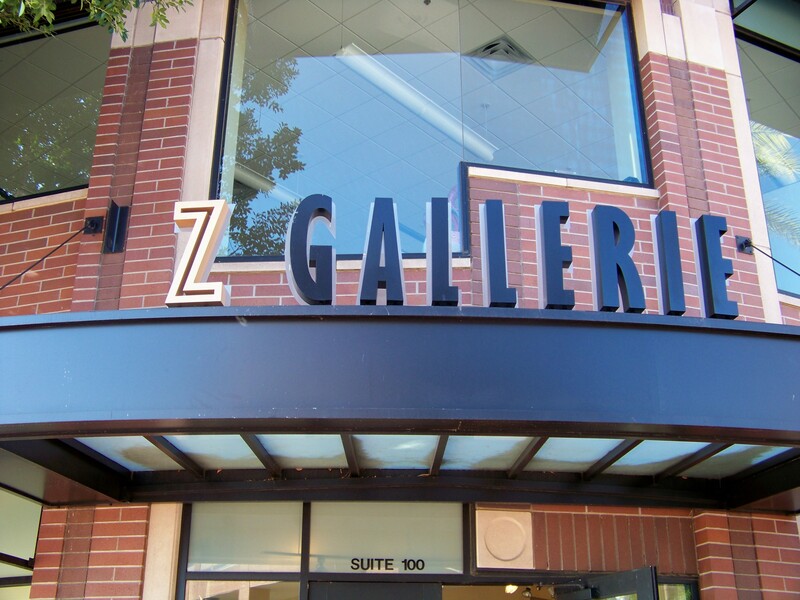 Z Gallerie plans on closing 17 stores in the process. Outcome: The jeans retailer did not announce the number of stores closing at the time of filing Chapter 11, but reorganization plans include relocating stores to physical spaces that have a smaller footprint, launching a pop-up store in Miami and a rebranding initiative. Diesel USA plans to close underperforming stores and revamp its e-commerce platform. Diesel USA is a subsidiary of its parent company, Diesel S.p.A. Along with 28 stores, the business has wholesale partnerships with a variety of retailers including Nordstrom Rack, Saks Fifth Avenue and Amazon.com, among others. The company cited a number of factors that led to its bankruptcy filing, including a decrease in wholesale orders, a dramatic decline in net sales and instances of theft and fraud. Prior to filing the retailer attempted to renegotiate leases with landlords and will not pursue the renewal of leases on a number of underperforming locations. According to the filing, "closing certain expensive, long-term, and underperforming stores as well as obtaining relief from other burdensome executory contracts is crucial to its ability to continue operating." Diesel USA has additional plans to revamp its e-commerce platform and grow wholesale operations. Outcome: The shoe retailer will shutter its roughly 2,500 store locations in the U.S. and Puerto Rico, with liquidation sales beginning Feb. 17. The retailer operates about 3,400 stores in more than 40 countries, a footprint that contributed to its demise. The discount shoe company spent last year closing down some 900 stores and cutting jobs at its headquarters after emerging from bankruptcy late in 2017. That plan was agreed to by lenders, which at that point largely owned the company. Without a buyer in sight, though, the business now is mostly disintegrating, and its wind-down has been swift so far. The retailer operates about 3,400 stores in more than 40 countries, a footprint that Stephen Marotta, appointed last month as the company's chief restructuring officer, said in a statement contributed to its demise, and is closing a massive number of them — nearly half the store closures that Coresight Research recently estimated the U.S. would see this year. "We expect all stores to remain open until at least the end of March and the majority will remain open until May," a spokesperson told Retail Dive in an email. "This process does not affect the Company's franchise operations or its Latin American stores, which remain open for business as usual." Outcome: Enesco, which sells gifts, home décor and accessories through third-party businesses, is buying the mall-based engraved-gifts retailer for an undisclosed amount. The retailer announced a sale to Enesco and the bankruptcy filing the same day. 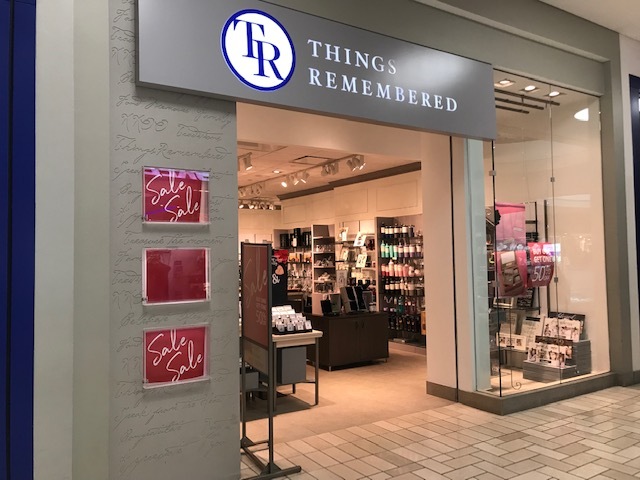 As Things Remembered prepped for bankruptcy, it was also apparently working out a deal that could preserve at least some of its retail operations and jobs — the company otherwise reportedly faced the closure of most of its 400 stores. The retailer announced the sale and the filing the same day. It was a close call for the 40-year-old retailer, which was acquired in 2012 by private equity firm Madison Dearborn from two other PE firms. Madison Dearborn exited that investment in 2017, the firm last month told Retail Dive in an email. Like many PE-backed retailers, Things Remembered, which last year attempted to boost sales through an Amazon storefront, is burdened with debt, which Reuters last month pegged at about $120 million. Leadership has also been upended more than once, as several top employees have come and gone in recent years, according to the LinkedIn pages of past executives. Outcome: FullBeauty Brands filed and received approval of a prepackaged bankruptcy plan in a record-breaking 24 hours. In between filing and receiving approval, U.S. Trustee William Harrington filed an objection, which was overruled. Plus-size apparel retailer FullBeauty announced in early January that it was expecting to file Chapter 11. In a surprise move, the company filed and received approval on a restructuring plan in 24 hours. The company agreed to turn over control to its lenders and slashed $900 million in debt, according to court documents. In between filing and receiving approval for the restructuring plan, U.S. Trustee William Harrington filed an objection, stating that they company was rushing through the Chapter 11 too quickly. Those objections were overruled. Outcome: The company plans to shutter 94 stores and sell itself, and awaits court approval for $50 million in debtor-in-possession financing to keep operations afloat. As a mall-based, teen apparel retailer owned by private equity Charlotte Russe joins other embattled retailers hampered in a turnaround. As a mall-based, teen apparel retailer owned by private equity (acquired by Advent International in 2009 in a $380 million take-private buyout), Charlotte Russe joins other embattled retailers hampered in a turnaround. Already under pressure to notch sales, the debt level creates a situation that "doesn't work," according to Greg Portell, lead partner in the global consumer and retail practice of strategy and management consulting firm A.T. Kearney. "[T]hese aren't companies whose growth will outpace debt service," he said in comments emailed to Retail Dive, adding that it's a distraction from their basic task of retailing. "While it's true that consumer preferences are changing, successful retailers are those that can adapt to those tastes and curate goods and experiences consumers value. Retailing is not an easy exercise. Beyond the financial aspect, it requires talented merchants, skilled store labor and an inspirational vision." Even less hobbled retailers are struggling to keep up with disruption in the sector, but those like Charlotte Russe, distracted by their financial difficulties, including their real estate, are destined to fall even further behind. "Beyond the financial aspect, it requires talented merchants, skilled store labor and an inspirational vision," Portell said. "Without those attributes, retailers will struggle. Without bold action, the retail landscape will continue to be scattered with bankruptcies." Outcome: Filed with plans to liquidate all Gymboree and Crazy 8 stores and operations, while looking for a buyer for the Janie and Jack brand. CEO Shaz Kahng noted in a statement that the retailer would be using the bankruptcy process to "preserve" the Janie and Jack brand. After months of rumor and speculation, Gymboree filed its second bankruptcy in as many years in mid-January. Through the Chapter 11 process, the children's retailer is shedding its unsuccessful brands, something a few analysts were surprised didn't happen during the retailer's last bankruptcy, and plans to sell the still-relevant Janie and Jack brand, as well as the IP and online platform for Gymboree. CEO Shaz Kahng noted in a statement that the retailer would be using the bankruptcy process to "preserve" the Janie and Jack brand, despite having to let go of both its namesake brand and the lower-priced Crazy 8 brand. 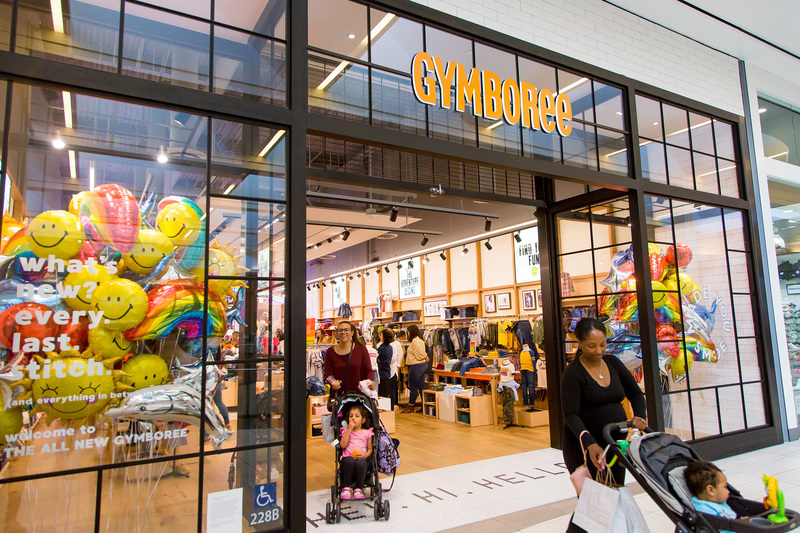 In its second life, Gymboree faced intense pressure from rivals like The Children's Place, as well as from big-box retailers like Target and even discount players like T.J. Maxx. The retailer also pointed to Gap as a direct competitor and noted that its secondary competitors are selling clothes "at increasingly cheaper prices." Competition impacted the amount of traffic the retailer received, which led to discounting and slimmer profits, per court documents, and the consumer shift to online didn't help either. Outcome: Filed for bankruptcy with plans to close stores and auction off its pharmacy operations. The court documents allege that the retailer, "ceased making payments to multiple other vendors," and "has stopped paying numerous other creditors." Shopko is in the middle of an unfolding story about debt and assets. In December it was announced that the Midwestern retailer was closing 39 stores shortly after Debtwire revealed that the retailer was exploring restructuring. A few weeks later, pharmaceutical drug supplier McKesson Corporation filed a lawsuit alleging that Shopko owed the company $67 million after it "would not commit to any future date on which Shopko would be able to make payment," according to court documents. By mid-January the retailer filed for Chapter 11, announced additional store closures and obtained $480 million in financing from lenders to continue business operations throughout the bankruptcy process. Walgreens then won 63 stores during an auction of the retailer's pharmacy assets. The court documents originally filed by McKesson allege that the retailer, "ceased making payments to multiple other vendors," and "has stopped paying numerous other creditors." McKesson declined further comment on those allegations. Outcome: Took $14 million in debtor-in-possession financing from strategic partner Tempur Sealy as it seeks a buyer. All told its banners operate 142 specialty sleep retail locations, and last year contributed less than 2% of Tempur Sealy's global net sales. Making and selling bedding has become a nightmare in the U.S. as disruptive material and sales innovations from bed-in-box startups like Casper continue to undermine traditional store-based mattress sales in the U.S. Innovative Mattress Solutions, which runs the Sleep Outfitters, Mattress Warehouse and Mattress King brands, is hardly alone: Ubiquitous retailer Mattress Firm is in the process of shuttering some 700 stores after filing Chapter 11 last fall. IMS has significantly fewer stores — all told its banners operate 142 specialty sleep retail locations, primarily in the southeastern U.S. — and last year contributed less than 2% of the Tempur Sealy's global net sales. Still, Tempur Sealy CEO Scott Thompson earlier this month called the businesses retail footprint "overextended" and its capital structure "thin," with neither "designed to effectively respond to the competitive pressures of the recent retail environment." While legacy businesses in the market count sheep, the disruptors are busy counting sales. Leader Casper started off last year with plans to open its first standalone store and has expanded that to plans for 200 across North America after inking deals with Target and Nordstrom. Rivals Tuft & Needle, Leesa, Nest and Purple have partnered with legacy retailers and Amazon, which itself moved into the space last year with its own affordable and premium mattress options. Outcome: Filed with plans to liquidate 25 stores and potentially sell its remaining 33. The filing came just a few weeks after the retailer announced it would be closing 25 stores and cutting down on corporate staff. The first weekend after the new year began, Beauty Brands filed for Chapter 11 bankruptcy protection, saying it had entered into an asset purchase agreement with Hilco Merchant Resources for the sale of its operating assets. At the time of the filing, the retailer owed $6.9 million on a secured loan and $11 million in unsecured debt to suppliers and landlords. Just before filing, the retailer had announced the closure of 25 stores, which it plans to liquidate through Chapter 11. The retailer plans to sell the remaining 33, though CEO Caryn Lerner noted at the time that all stores remained open and that the company's objective was to "emerge from Chapter 11 in a stronger position and move forward as a successful brand." Among other things, the company pointed to an unsuccessful brand repositioning attempt, which caused it to open 11 new format store locations between 2014 and 2016 and led to significant operating losses as those stores underperformed. The story comes at a time when many beauty retailers are performing well, and startups like Glossier and Birchbox are making ever more ambitious moves into the space.